You must be a member of the Warsaw Master Classes for Fun Group to attend this activity. Would you like to join this group? 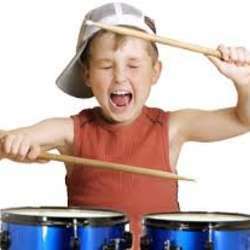 As requested, we organize again the kid's drums master class which is more like a music lesson and a good moment between parents and kids. Dancing, learning and playing alone, with a metronome and finally with me on guitar. Minimum age 7 years old and every kid should come with one parent. The studio is reserved for 2 hours. Waiting to meet again the little genius and their kind parents.